It cannot have escaped the notice of many of those inside the piano teaching profession that a noisy and at times acrimonious debate is raging, once again, over the sensitive issue of touching students, specifically children, as a pedagogical device in the course of piano lessons. I am not going to go into the specific details of one particular discussion thread – those of you who use Facebook are probably already familiar with it. 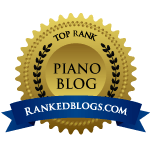 Nor am I going to discuss the opposing views expressed in this thread; I am simply offering some thoughts on this difficult area based on my own teaching practice and discussion with a number of piano teaching colleagues. There is a wealth of published research demonstrating the value of touch in human interaction. Touch defines relationships between human beings from the moment a baby is born, and positive touch continues to be important to a child’s development throughout the early years. For instrumental teachers, and indeed singing, dance and sports teachers as well, touch can help improve a student’s technique, how to hold or play an instrument correctly, how to breathe, use the correct posture and protect against tension or injury. In its own guidelines the UK Government describes touch as a “necessary” activity in instrumental teaching. We have a revised policy from EPTA, which keeps the sensible advice of obtaining written agreement and encouraging parental attendance/involvement, but which precedes it with an ill-advised statement that can only be described as fear-mongering, rather than fact. The idea that the teacher who gently corrects a dangerous wrist position, with permission, with proper explanation, and with the parent present, could be mistaken by the child or parent for an abuser is simply bizarre. Has this happened, ever? In 25 years of teaching, training and observing other teachers on three continents, I’ve certainly never heard of such a thing happening. 2. And secondly, conflating these issues, in my view, rather trivialises the experiences of those traumatised by genuine abuse. How disappointing that EPTA now writes policies predicated on fear rather than fact. They are very out-of-step with the Department of Education at this point, and I rather feel they have seriously let down the piano teaching profession on this occasion. Private music teachers already suffer a hefty degree of suspicion in the light of the abuse scandals at specialist music schools and colleges, and so we must do our utmost to demonstrate that we work with transparency and good practice at all times. This may be through seeking formal written permission to use touch in lessons from the parents of our students (which could be incorporated into one’s studio terms and conditions) or by discussing the issue of touching for pedagogical reasons with parents and students in advance. For the record, I don’t touch students in the course of my teaching. Never have, and probably never will. It is just my policy and while it is not ideal, I manage by using clear instructions and demonstration (I might occasionally ask the student to feel my hand or arm to understand arm weight). In our hyper-aware, hyper-sensitive times, following the deeply unpleasant revelations of the abuse that has taken place in specialist music schools and conservatoires, we are of course more concerned than ever to protect the children to whom we have a duty of care as teachers. But to infer, as certain commentators in the online debate have, that any teacher who touches a student in the course of a lesson is a potential groomer or child-abuser, is deeply insulting to the profession and the very many highly professional teachers working within it. The vast majority of teachers do not harbour perverse feelings towards children, and most children, even quite young children, are able to distinguish between appropriate and inappropriate touching. And do such guidelines actually stop those teachers who have genuinely bad intentions towards their students? EPTA’s statement also ignores the fact that teachers can perpetrate abuse through words or gesture: for example, the teacher who regularly reduces a student to tears or who humiliates a student in front of others in a group lesson. The sad outcome of this latest debate is that trust and confidence in the teaching profession seem to be the real victim here, rather and, as is often the way in such scenarios, the actions of a few have created a difficult environment for the many to operate in. It strikes me that teachers are now more vulnerable than the children they seek to protect, and in an effort to avoid risk, teachers may become less effective educators.